Ireland’s young skiers expressed their gratitude to the OCI through flag bearer Hubert Gallagher at the close of the 2011 EYOWF in Liberec. Gallagher continued “I was reasonably happy with my results and I would love to continue to improve my skiing in the future and hopefully represent Ireland in the full Olympics. Seeing the standard of some of the medal winners has made me determined to train very hard and to try and compete at the top level. 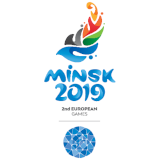 Note: The 10th Winter European Youth Olympic Festival closed on Friday, with 12 countries taking back home medals but with 1’055 participants from all the 44 teams going home with great memories of their experience. With EOC President Patrick Hickey in attendance. After athletes and officials listened to the Olympic anthem the Olympic Flame was extinguished and it was time for the final party, with everyone, all countries together, dancing on the floor. The next EYOWF will be held in Brasov ,Romanian in 2013. 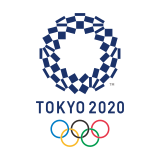 The next major event on the Winter Youth calendar is the World Youth Olympic Games in 2012.